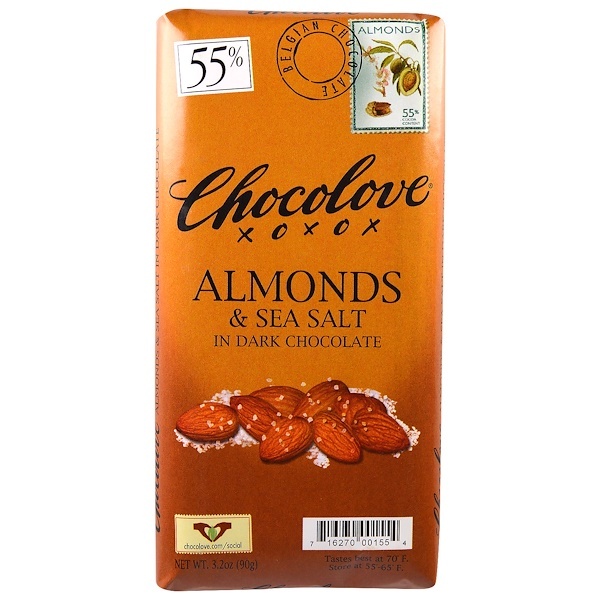 Dark semisweet chocolate, whole dry roasted almonds and sea salt. 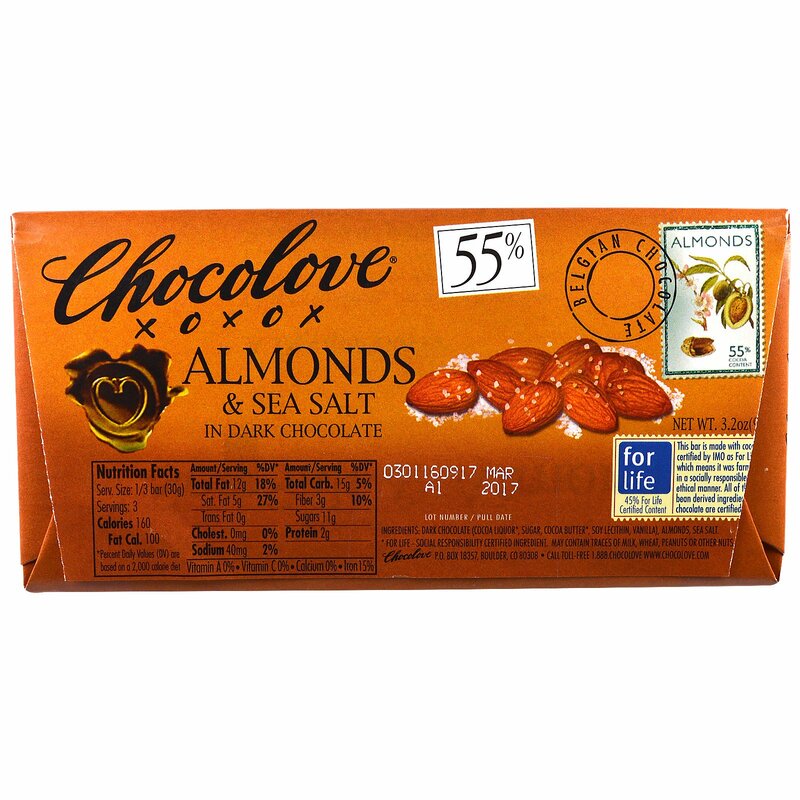 At first bite, crunchy almonds release their flavor in a swirl with chocolate. The sea salt crystals continually reset your sweet taste buds and make a tantalizing taste combination that keeps you wanting more. 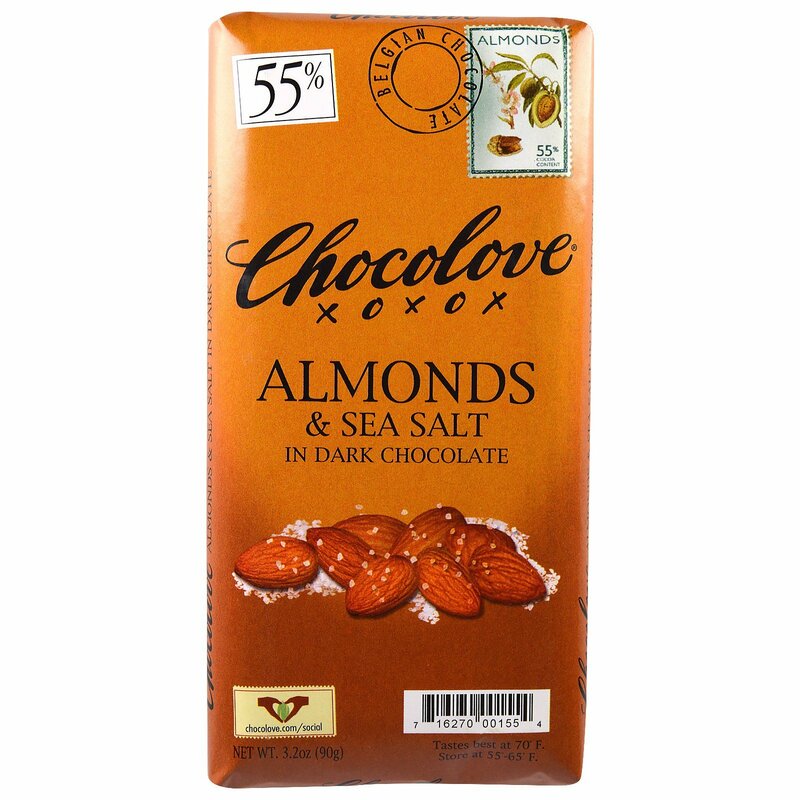 Tastes best at 70º F.
Dark chocolate (Cocoa liquor, sugar, cocoa butter, soy lecithin, vanilla), almonds, sea salt.